Yes, you can easily resend a Digital Card from your My Digital Cards page. First, locate the card you'd like to resend and click the Resend link. 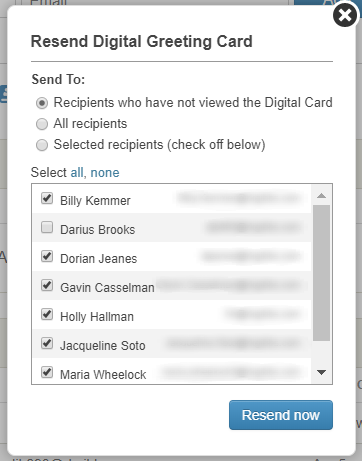 Once you've selected the contacts you'd like to resend the card to, click Resend now to resend the card.